If you follow along with me on Instagram (actually, my Insta Stories), then you’ve seen that Bjorn and I jumped into healthier eating habits lately. We’re currently at about Day 9 of eating better and we are feeling great! I am aiming for more of a clean eating diet. I’ve overhauled the food in our fridge and cupboards to allow us to make more clean eating friendly meals. Changing my habits has been even more of a mental shift than I expected…and that’s probably a good thing! While I am not sticking 100% to a clean eating diet (#pregnancy), I actually think that transitioning into healthier eating works well this way. I’m sticking to clean eating as much as possible, but I’m not punishing myself when I choose to step back from clean eating a tiny bit at a special event or something. 🙂 And I can feel good overall because the rest of the week, I’ve been making good food choices! In general, and even though it’s early on, I’ve found that I’m reaching for healthier food choices and I’m not craving high fructose corn syrup as much. That’s my overarching goal: to have healthy food options in our home, to make clean eating easy to accomplish, to crave less of those unhealthy foods, and to feel better! Something I’ve been doing consistently these past 8 days is having a healthy smoothie or shake every day! 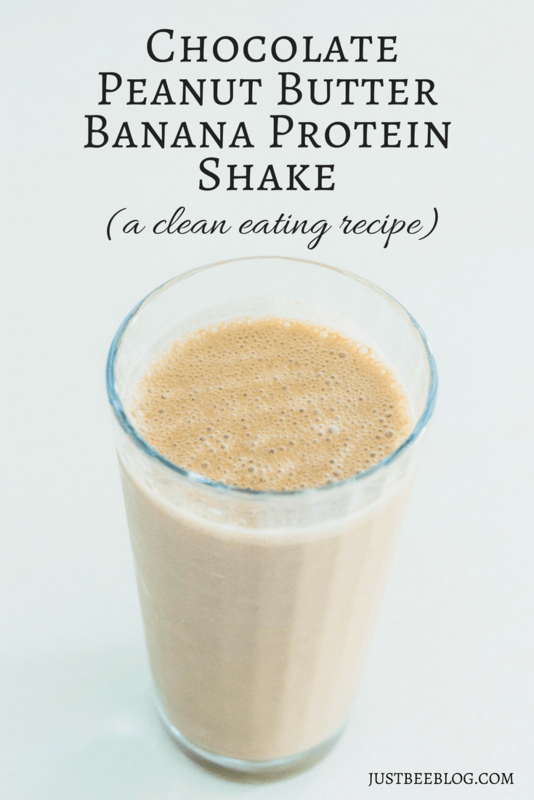 I’ve been starting my mornings with an awesome banana-berry-spinach protein smoothie (I’d love to share more about those sometime), but it’s also fun to infuse more healthy options into shakes when I’m looking for a mid-afternoon snack. 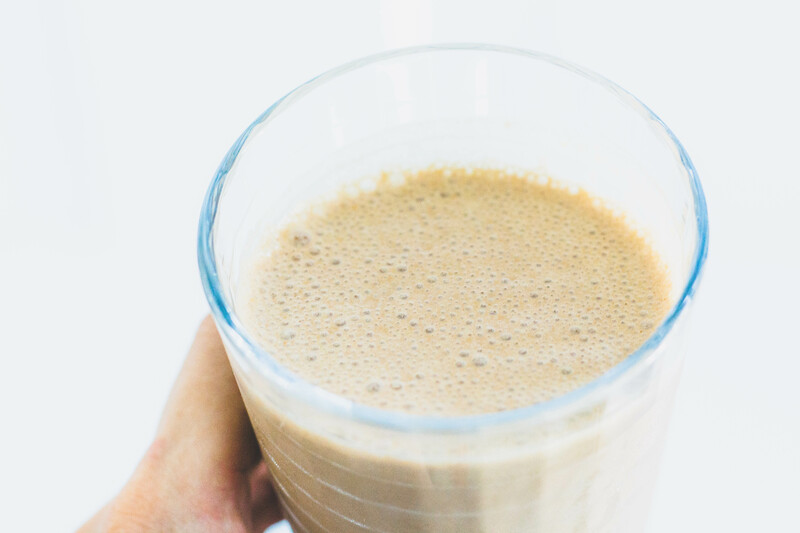 I came up with this recipe yesterday when I was craving something with chocolate and peanut butter…but I knew I wanted to stick with healthier options. It turned out great and I’ll definitely be making it again. Hope you enjoy it as much as I did! ** This recipe is considered clean eating if you stick to these exact ingredients…While I’m not a dietician and there’s always the chance for error, I’ve cross-referenced each of these ingredients on different clean eating food lists to make sure. Greek yogurt can be considered clean eating, if you shy away from the kinds of yogurt with added sugars or sugary flavors. I buy plain unsweetened Greek yogurt. I found that this recipe satisfied my sweet tooth and desire for a snack, without becoming a super unhealthy sugary treat! It’s far better than swinging by McDonald’s for one of their shakes! What healthy smoothie and shake recipes do you enjoy?